Teeth whitening in Bellmore can be effectively administered by a trusted dentist so you will be happy with long lasting but least costly teeth whitening results. With so many over the counter teeth whitening products which you can use at home or conveniently bring the product anywhere you go for continuous treatment, you may be thinking that do-it-yourself teeth whitening treatments are more convenient and least costly than when you undergo in-office treatment. But if you will only consider a lot of factors, you will find out that dentist-supervised teeth whitening in Bellmore is far better than doing it yourself at home. Once you will visit the dental clinic for teeth whitening treatment, the doctor will examine your oral condition and will create a customized treatment plan that will not risk your gums. 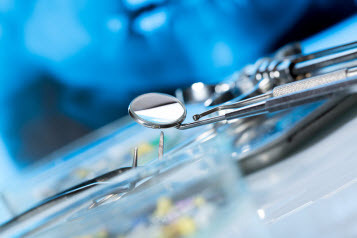 Treatments will be carefully applied on teeth only, and you cannot assure this when you have it done all by yourself. Doing the teeth whitening with your own may even result to uneven whitening of the teeth which are unpleasant to the eyes and thus, affect your overall looks. When the teeth whitening in Bellmore is administered by a certified dentist, you will be assured of safe and effective treatment. The way your teeth whiten depends on the kind of teeth you have; once the doctor has checked on the structure of your teeth and the extent of whitening needed, he will be able to figure out the strength of the bleaching agent suited to your teeth. When you buy over the counter whitening products such as gels, strips and toothpaste, you are not assured of the bleaching ingredients. You may be applying the bleach for quite some time but has not get the desired results since the product may not be that effective or may not be suited to your teeth. If you use mouthpiece tray as teeth whitening in Bellmore and buy only some over the counter gels, desired result may not be achieved also since the tray may not fit in your teeth – the product is actually for all teeth types and sizes. With dentist supervised treatment, the mouthpiece is customized according to your needs. Most importantly, the tray you wear will not touch the gums so gum irritation will be avoided. While the dentist performs treatment for teeth whitening in Bellmore, your gums are covered with gel or placed with a shield to protect the gums from the harsh ingredients of the bleaching products. The bleach will not enter on the dental tissues and cavities. You may be going to the dentist for several sessions until the bleaching treatment procedure is completed but this will not be as costly as buying expensive products which are ineffective and unsafe to use. Teeth whitening treatments may not last forever because you teeth are prone to discoloration with the foods and drinks taken in. Smokers are more prone to teeth discoloration and stains as well so they can have teeth whitening in Bellmore more often than non-smokers.